COME MAKE HAPPY MUSIC WITH US in one of the most beautiful places in the world! We invite you to join us as we create a musical community surrounded by this wild and beautiful coastline. We will strum and sing through sunny days and starry nights next to crackling beach bonfires. 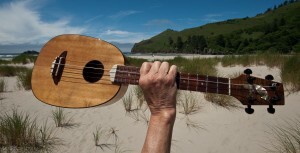 Over the weekend you will improve your ukulele skills and expand your musical universe. 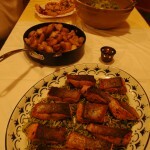 MEALS: Our healthy cuisine will reflect what is seasonal to our local coastal area. Farmers in our food-shed are already planting veggies and fishermen will be providing us with special, fresh catches from our local waters! We place a special emphasis on extraordinarily delicious and sustainable foods. We will be able to meet your special diet needs, please send your requests to Melany Berry. 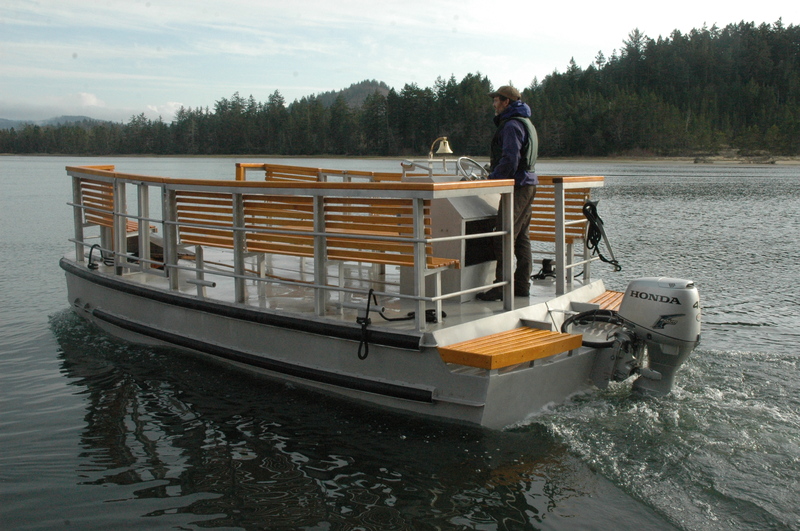 CROSSING TO THE SITE: Westwind is only approachable by water on our ferry. Please arrive at 12:30pm on Friday September 20 to park your car, unload your gear and join the Ukulele jam Down by the Riverside. 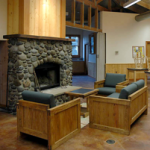 (Please contact event Melany Berry regarding alternative transportation to the site if the crossing at Friday September 20, 2019 is not possible for you) We will e-mail all registered participants an equipment list to ensure a comfortable weekend at the coast. For answers to any questions you might have and additional information on the event, its workshops or the site and accomodations-meals please call Melany Berry at Full Heart Productions: 206 697 0434 melany@fullheartproductions.com. 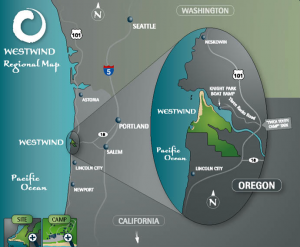 DRIVING DIRECTIONS: Westwind is 50 miles due West of Salem Oregon. Proceed to Hwy 18 heading Southwest from either Mc Minnville or the junction of Hwy 22 from Salem; continue on 18 to where it meets Hwy 101 just north of Lincoln City. Take the Hwy 101 exit North to Tillamook. Cross over the Salmon River Bridge and 1 mile later take a left on Three Rocks Road. (Look for Westwind and UKE EVENT signs) Proceed 2.5 miles to a tee in the road where you will take a left. 150 yards later turn left into Knight County Park. Please carpool! Please plan on arriving at 12:30 pm in order to unload, park and play some Tunes beside the Salmon River. 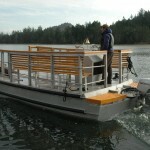 Our ferry to Westwind will be leaving from the Knight Park dock. Remember tides wait for no one, so please be on time for the crossing!